Here’s what I have to report from this week. Charlie is no more. But he had a good long life (for a squash-o-lantern) and will be missed. Radish greens work in “spinach” dip. My step-son said the other night, “You know, I think I kind of like radishes.” I agree. Our salads will seem sad without radishes this week. Oven drying peppers works! 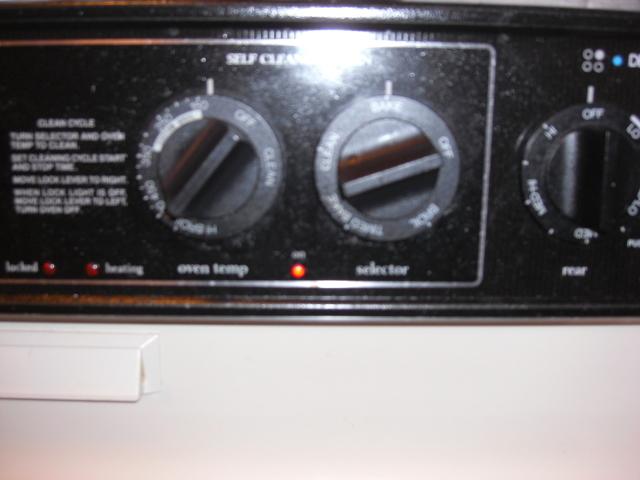 You have to keep the oven on low for a long time, so it’s better for fall. Sweet potatoes are near the top of my list of reasons to keep subscribing. I’ve always liked sweet potatoes, but sometimes you buy them in the store, and you take a couple of bites, and then you get a stringy bite. I hate that bite. Somehow that stringy texture makes me gag and not want any more sweet potato. That never happens with these sweet potatoes. I eat them all the way to the skin, and the texture’s perfect to the last bite. It’s like everything you’ve always imagined a sweet potato could be. The sugar cane was interesting. I think it would be fun to take on a hiking trip. 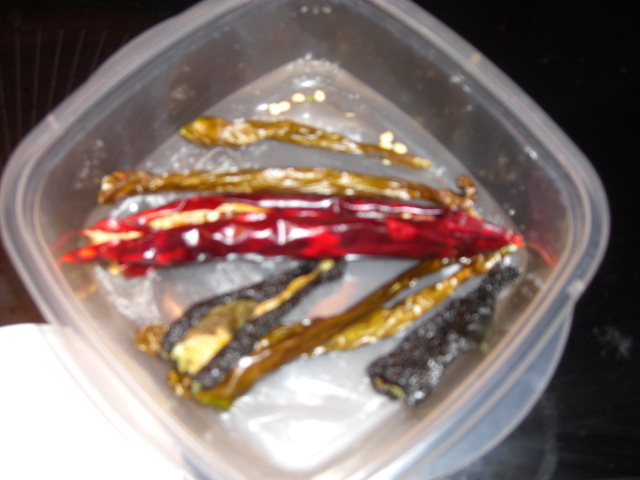 This time I had a bunch of hot peppers I dried them in the oven, and it worked great. I dried them in the oven at 150 degrees – my lowest oven setting. It took a couple of days. I’d turn the oven off at night but leave it on most of the day. With the cold snap, it even kept the kitchen a little warmer. I read that 150 is the maximum for drying peppers. 100 -135 degrees is best. 150 is the lowest my oven will go, so every once in a while I’d prop the door open to lower the temperature a little bit. I don’t know if I’d want to do this in the heat of the summer. But I tried drying peppers in a window and on a screen this summer. Both times almost all of them got moldy before they could dry. Here’s what I did more specifically. Wearing gloves, I halved the peppers and put them on a baking sheet. I didn’t seed the peppers, but you could do that if you wanted a milder result. Then I put the peppers in the 150 degree oven. Every few hours I’d turn them with tongs and prop the oven door open for a while. You can feel with the tongs when all the moisture’s gone and the skins have no give anywhere. 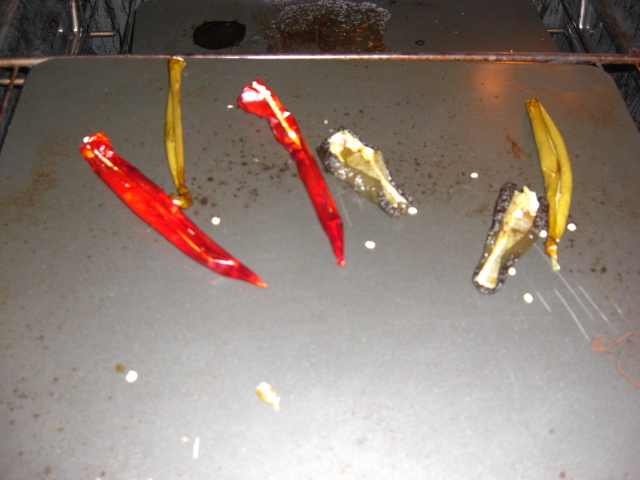 Be careful what else you use the tongs for while drying the peppers; they will pass on some hotness. I used mine to retrieve some steamed broccoli and we could taste the hot pepper although it wasn’t bad. Some peppers were done before others. I took them out as they finished drying and left them on a plate to cool. Now I’m saving these peppers in a air tight container. When I want one for chili or something, I’ll toast it just a little in the toaster oven until it darkens and then crush it and add it to the recipe. I did this with a pot of chili and my one successfully dried pepper of the summer. It was sooo good. The chili taste was deep and rich and complex. Who knew chili could be complex?